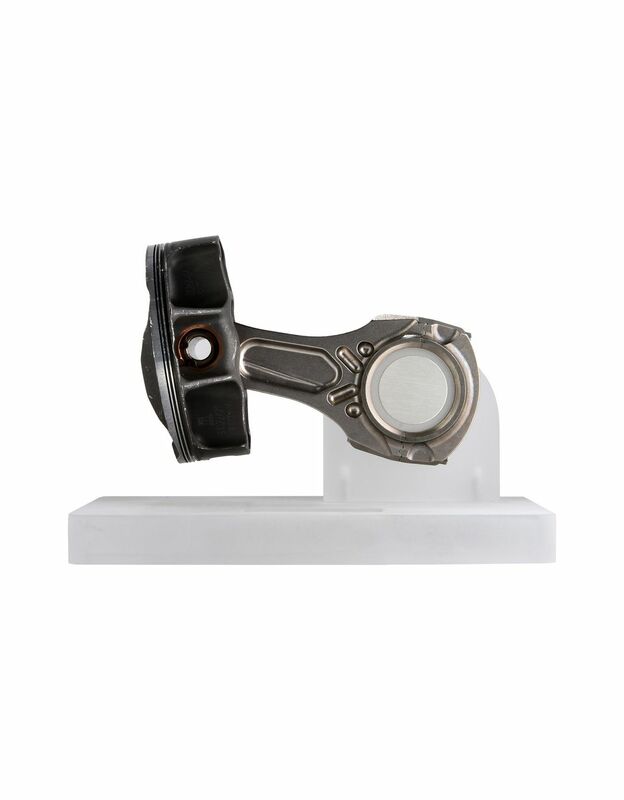 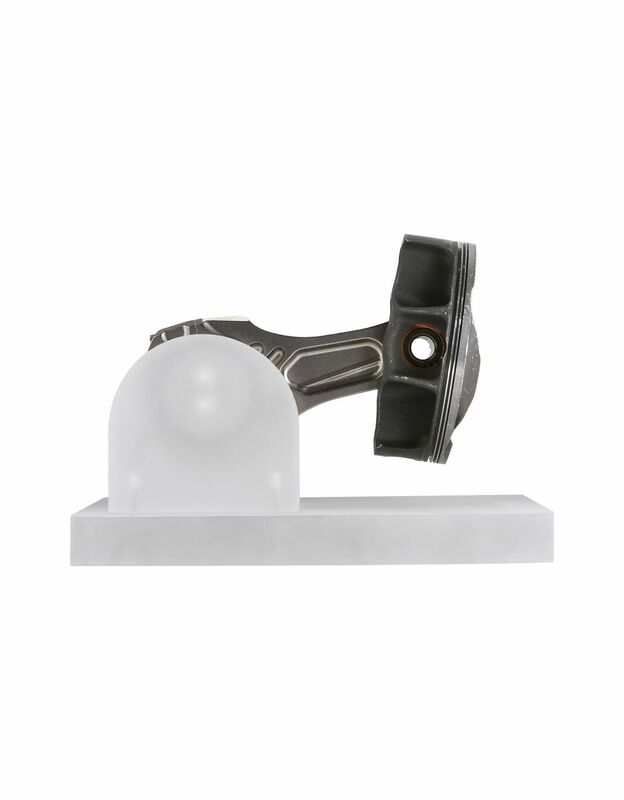 The original piston and connecting rod belonged to the F2005, the fiftieth single seater built by Ferrari made specifically to race in the Formula 1 world championships. 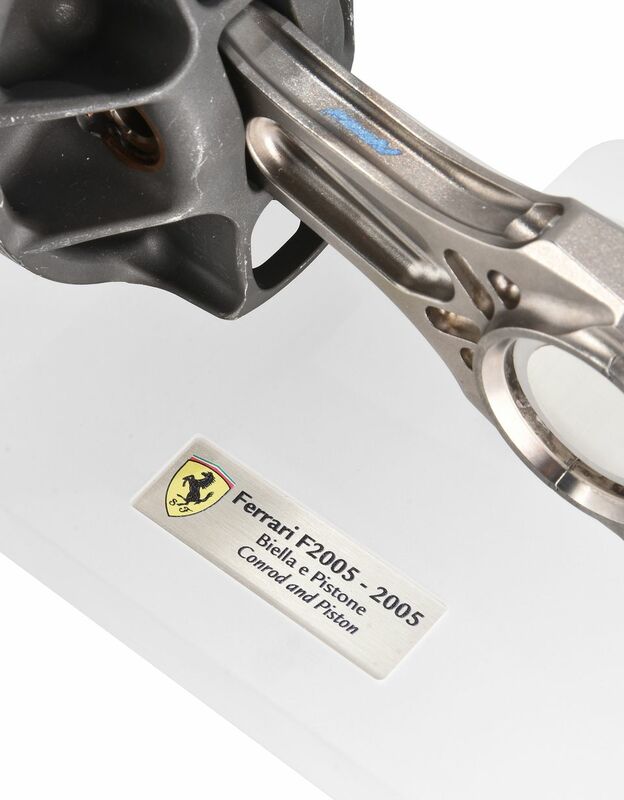 The F2005 debuted on the F1 world championship race track on April 3, 2005. 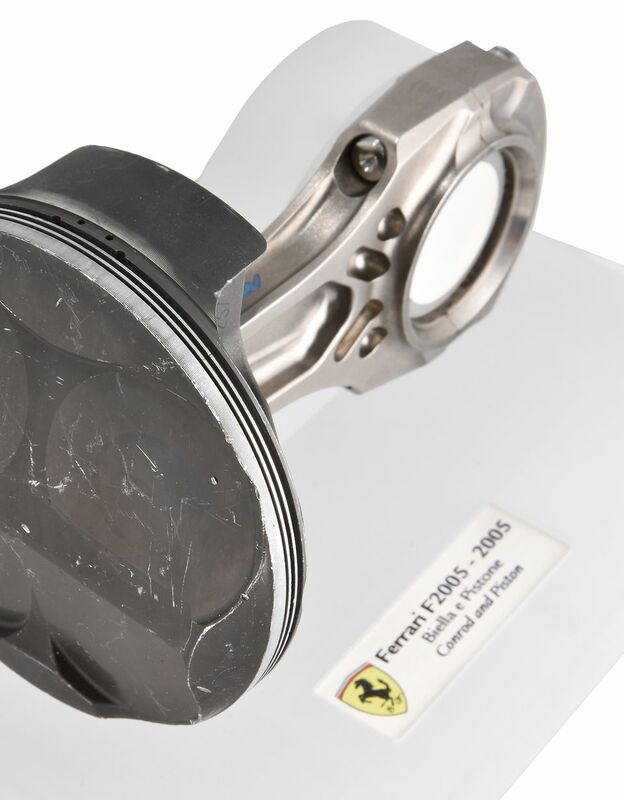 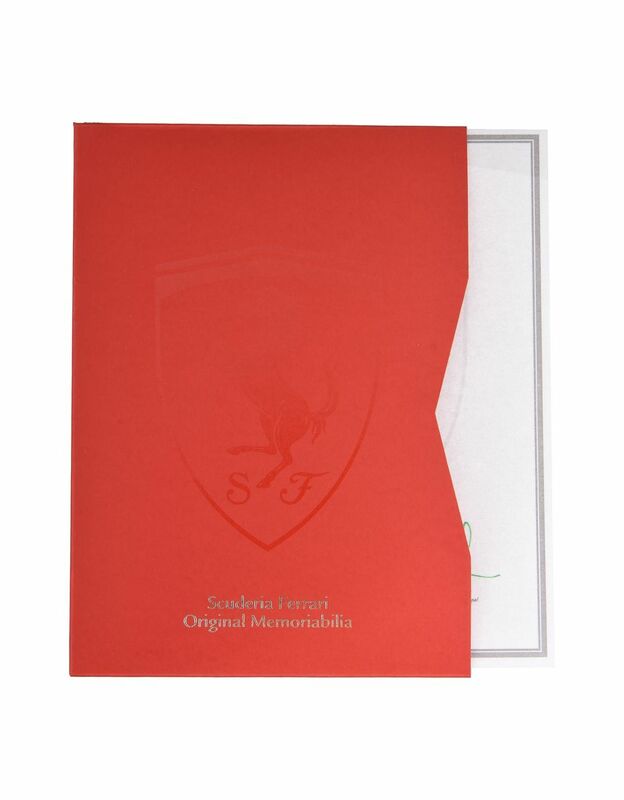 Accompanied by a certificate of authenticity, that car's original piston and connecting rod bear witness to a passion for the Maranello team and its glorious history.